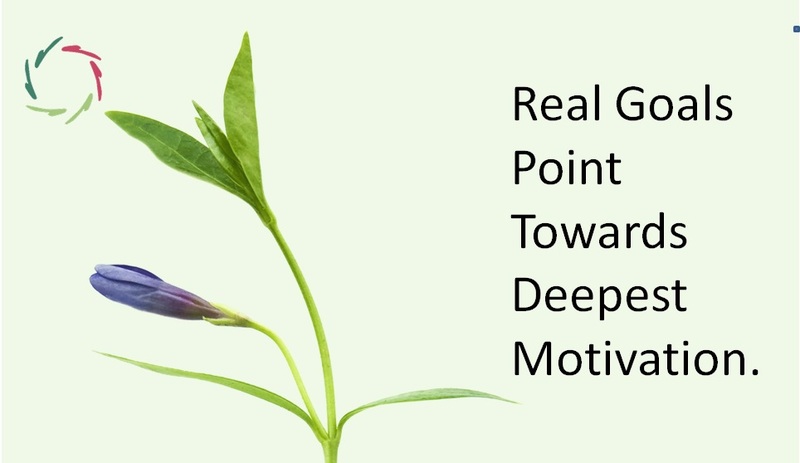 Real Goals Point Towards Deepest Motivation. Goals that really motivate are seldom those that readily come up when asked. Going deep, you may encounter the ones that energize you. There is no motivation but inner motivation. The inner in this phrase is the region deep inside your mind where ‘everything is formless’. If you could go there in your imagination, you would not encounter any concrete ideas or feelings that you could handle in any way. Any endeavor to consciously do so would result in nothing but a feeling of unworldly strangeness. Because you would only experience deep meaning and deep motivation. In a practical sense, you can have the impression to motivate someone by pushing that person towards a certain goal. But that impression is incorrect. It would make sense if the deep-inside wouldn’t be there. But it is. So whenever you think you can motivate someone by pushing, he may resist your pushing as a natural reaction. Well – resistance may be a big word, but whatever you want to call it, it may come in two ways: either as a counter-push or as a dissolving. Let’s briefly look into these two. In the former, the to-be-motivated person feels a clear counter-motivation that, as seen from outside, one could give a name. For example, you try to motivate your adolescent son and he feels deep inside that he has to resist this coercion from a dull and inconsiderate parent. Call it if you like: a clash of generations. 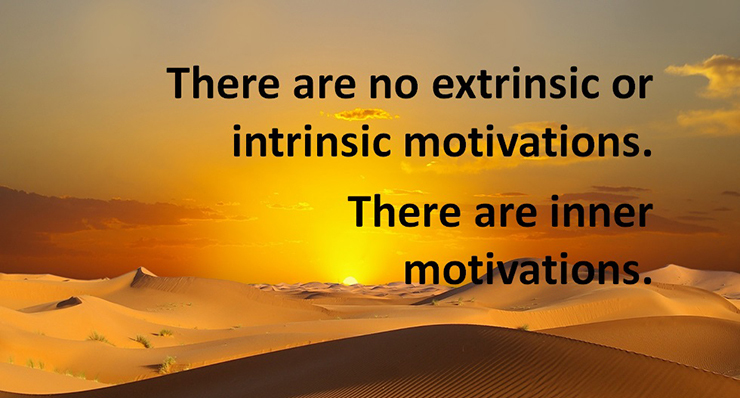 In the latter, there is a dissolving of your intended motivation. For example, you try to motivate your co-workers and they just don’t feel motivated. 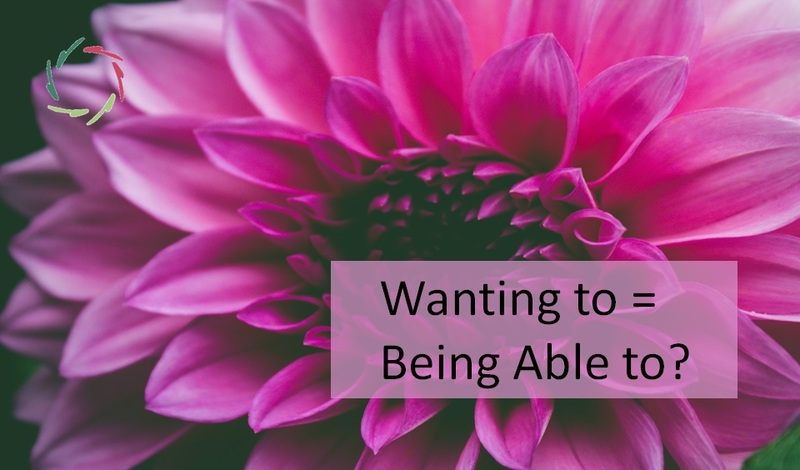 They don’t actively resist but they neither feel energized towards pushing boundaries. You may think they are difficult to be motivated. They are – precisely by your trying to push them. 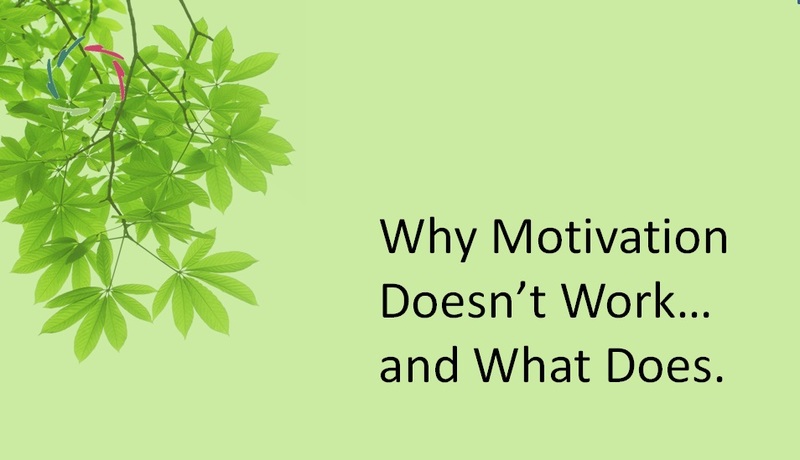 So if you want someone to be motivated – not coerced but really motivated – towards some goal, then you have to let the motivation arise from deep inside that person. This amounts to finding the real goal that corresponds to your true motivation and to the other person’s: the goal that touches and sets into motion. This last word sounds like e-motion and that is no coincidence. An emotion is frequently involved in the process. A well-chosen goal then puts the ‘void’ into action. As you can see, at this level, the goals are very broadly human. The positive side is that we as human beings can encounter each other in this – and enjoy! Deepest motivations are also a source of deepest joy.